Burial Rights: Who Owns Dead Bodies, Anyway? : 13.7: Cosmos And Culture A question fit for Halloween: Why has there been so much resistance to an Alabama man burying his wife, at her request, in their front yard? Anthropologist Barbara J. King digs into our relationship with the dead. Burial Rights: Who Owns Dead Bodies, Anyway? On Halloween, we play around with what may scare us. Kids suit up in zombie and vampire costumes, of course, and there's also a lot of imagery connected directly with our own life trajectories: skeletons, skulls, gravestones, cemeteries. Some of this is just pure fun. But death and burial make good Halloween subjects, in part because our society is so edgy about them. I got to thinking about this when I read in The New York Times of a man in Alabama who gained national fame by burying his wife in their front yard — at her request. He found out pretty quickly about that societal unease with death and burial. James Davis of Stevenson, Ala., was married to his wife, Patsy, for 48 years. As a teenager, James asked Patsy to a strawberry festival; they were a couple from then on. In 2009, when Patsy was dying, she told James she wanted to be buried in the front yard of their home. The town of Stevenson has no ordinance on the books against private burial of this sort. But when he sought approval for that burial, it was denied. Davis forged ahead. Thanks to his determination and a backhoe, Patsy Davis, encased in both a vault and a coffin, was laid to rest exactly where she wanted to be. Now, four years later, the legal problems for Davis haven't ceased. The town of Stevenson sued him years ago, and earlier this month, the Alabama Supreme Court sided against him as well. The current controversy is about "Who Owns the [Dead] Body?" The grieving relatives? The state? The Public Health Department? The Church? In northern California various "home death" movements are spreading, some with the idea, quite similar to Mr. Davis's, that birth and death are deeply private matters and should be left up to the next of kin to decide. 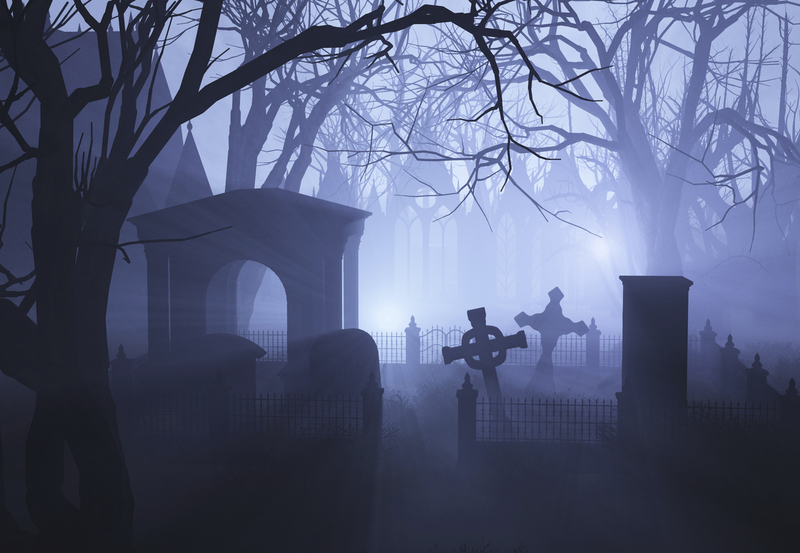 Secret burials take place without anyone being the wiser. Alternatively, there are organizations promoting communal parks where the dead bodies are returned to the earth as quickly as possible, without fuss or fanfare, no use of toxic embalming fluids, no caskets, and the smallest footstep type markers or no markers at all. Some envision communal gardens and parks, others a nature sanctuary, but all want the dead to share space with the living, so that nature trails, concerts, children's parks can use the space where bodies are laid to rest. In teaching a freshman seminar at UC-Berkeley on "Bringing Death back into Life" we discussed various family traditions. One young man spoke of his grandfather who had recently died, his body unable to be properly disposed in his Parsi community in India. He explained, tearfully, that his Grandpa was heaped underneath dozens of bodies waiting for the vultures to come and pick their bones. But the vultures were fast disappearing, destroyed by urban toxins that had made their way into the food chain. I sucked in my breath. Was this too heavy for my newbie freshmen students to hear? No, not at all. They encircled the young Parsi student and said that they hoped the vultures would return and that his grandfather would have the proper burial that he and his family and community wanted. Who Owns the Body? The closest next of kin, at least in my humble anthropological and therefore naturally iconoclastic view. As Scheper-Hughes' comments indicate, the number and type of death rituals seems to be ever-increasing. As far as paleoanthropologists can tell, the practice of interring the dead as a community custom began about 100,000 years ago in places like Qafzeh, Israel. Our Neanderthal cousins sometimes buried their dead too, for example at Shanidar, Iraq, at about 50,000 years ago. Today we have (or in relatively recent times had) a menu of options, ranging from an underwater graveyard in Florida to cliff-side cave burials in the Philippines. There are catacombs, such as the ones I walked through a few years ago beneath the streets of Paris. We may opt for green burials or, of course, not to be buried at all but instead to be cremated or to donate our bodies to medical schools or places like The Body Farm. James Davis' case demonstrates, though, that burial on private land may still engender resistance. As long as no public health risks are involved and interment plans are registered with authorities, should this really be the case? Unless individual preference or cultural practice leads us to opt out of burial, each of us, after all, will turn to bone, gradually becoming a genuine representation of those Halloween skeletons you'll see everywhere today. Like Scheper-Hughes, I'm on James Davis' side. I hope his wife can stay where she is, in her yard, at peace.